Early season scouting is imperative to good nutrient management in alfalfa. In Minnesota, the main nutrient concerns lie in sulfur, potassium and boron. 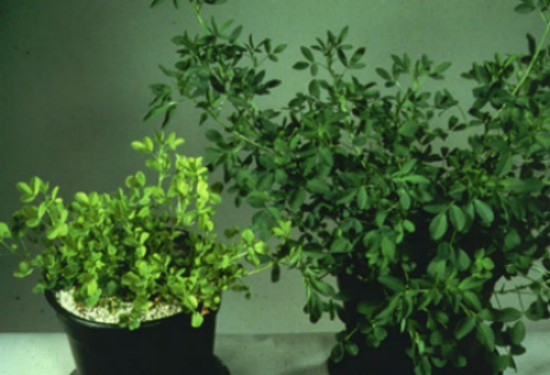 Read on for tips on how to scout for and manage these common alfalfa deficiencies. In Minnesota, sulfur deficiencies in alfalfa are found in two main areas: 1) sandy soils where sulfur tends to leach rapidly; or 2) soils with low organic matter content that have a limited capacity to mineralize sulfur. Scout for yellowing in the upper leaves and thin stands. The most susceptible areas of the field will be sandy soils with low organic matter and eroded knolls within in the field. Alfalfa has a higher need for potassium (K) than most other crops and is often grown on soils where K can be limited. Deficiencies are most often found in sandy and dry soils, but can show up in many different soil types. Potassium deficiencies can look similar to sulfur deficiencies, but the big different lies in upper vs. lower leaves. 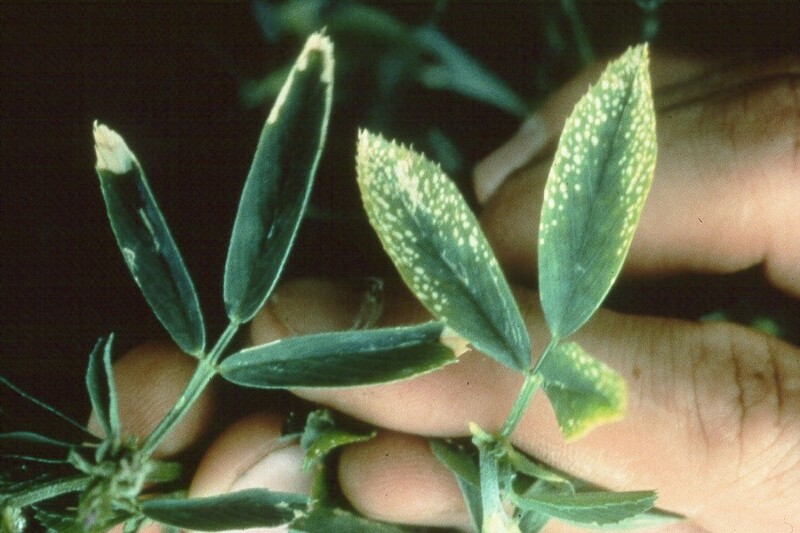 To identify K deficiency, look for yellow spots towards the edge of lower plant leaves. The difference occurs there because potassium is a mobile element, while sulfur is not. Once you’ve confirmed a K deficiency, test your soil to determine application rates. Applications should take place in early spring. If you’re using high rates or high management situations, you can also split-apply between early spring and after the first cutting. 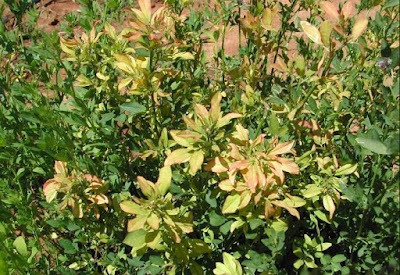 Boron deficiencies are most likely to show up in east-central and northeast Minnesota, and in dry soils. Look for chlorotic and stunted plants, especially in sandy areas of fields with low organic matter. Deficiencies sometimes cause development of multiple stems. If you think you’ve spotted a deficiency, use a soil test to determine if you need to apply. Watch your rates and take care not to over-apply as too much can lead to poor germination of newly seeded fields or stand damage in established fields. Photos courtesy of International Plant Nutrition Institute.